One of my first tasks when arriving at the Cooper Hewitt Museum was to create a scavenger hunt for a design conference for teachers. The aim of this scavenger hunt was twofold. Teachers would have the opportunity to explore the many objects in the museum while consolidating the four stages of the Cooper Hewitt design process. Here are some example questions that relate to objects in the current Making Breaking exhibition at the Cooper Hewitt. I have included images of a selection of objects in this exhibition, so see if you can pick the correct object. Defining Problems: I live on the 5th floor of an apartment building and I can’t get my mode of transport around the corners on the stairs! Getting Ideas: Handheld, compact, light, smooth, cordless, glue, foam, resin, metal screws, 3D printed, molded plastic, metal, polycarbonate. Prototyping and Making: From sketch, to model, to first iteration, this piece of furniture is both ‘enigma’ (mystery) and ‘lignum’ (wood). Testing and Evaluating: Traditionally constricting, bulky and often considered unattractive, this 3D printed iteration is an improvement because it is compact and light, allowing greater movement and has embedded tech. Scavenger hunts are a fun, engaging activity that encourages critical thinking. Through the use of clues towards finding objects, participants actively interact with information, filter ideas, work collaboratively and connect ideas. Prizes can really harness extrinsic motivation too! Don’t have an amazing museum full of incredible design objects? Scavenger hunts can take on a variety of forms in the classroom. Create a scavenger hunt with a selection of images stored using Padlet, eliminating the need to leave the classroom. Use a scavenger hunt to consolidate understanding of scientific equipment, types of geography maps or literary genres. Something I hope to trial with my grade 5 students, is using a design process to create a scavenger hunt to assess understanding of animal adaptations. Treasure hunt collage. 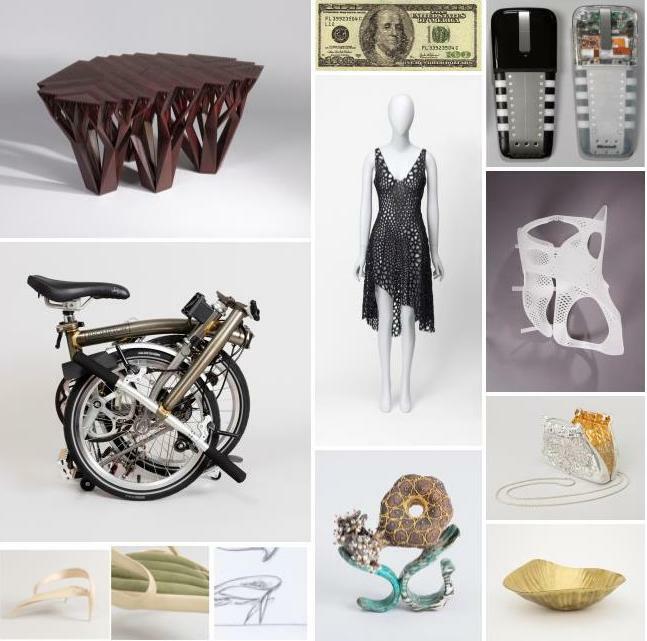 To view individual photos visit Cooper Hewitt’s Making Breaking. This article by Oakleigh State School teacher and 2017 Queensland-Cooper Hewitt Fellow Chantelle Sansness was originally published on Discover Connect Create on 24 June 2017.